when advice could be appropriately offered. Your letter may be amusing or serious or both. * A letter intended for a wide audience often published online or in the print media. 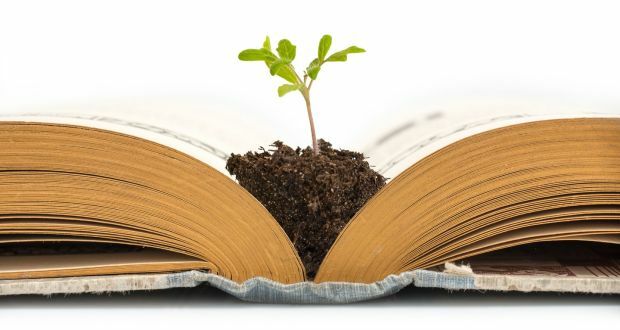 The following article by Hilary Fannin in the Irish Times offers a humorous take on the types of advice offered in self-help books. The writing genre is akin to that of Personal Essay, and not too unlike an open letter. I figured I might be over-reacting to the arrival of autumn when I found myself wandering around a bookshop recently, browsing through a number of titles that I would never buy, all of which could loosely be categorised as midlife self-help manuals. They could be described as user guides, if you like, for those of us who are supposedly hiking perilous trails through our 50s and 60s and wondering at what point exactly we took a wrong turn and lost sight of youth’s laugh-a-minute highway. Many of the titles seem to assume there are legions of us wandering around in a shadowy vale of varicose veins, baggy bladders and deep regret, collectively pining for our old waistlines, our mislaid 10CC albums and our Yamaha 125s. I quite like self-help manuals actually, as long as I don’t have to read them. They’re baubles of colour that light up the non-fiction shelves like disco lights in the darkness, and flicking through them is an entertaining enough pastime. But seriously, does anyone take self-help seriously? Presumably, if we could all be fit-and-fabulous mindful millionaires simply by purchasing a couple of slim volumes, then we’d all be calmly doing our downward dogs and counting our cash in the balmy Bahamas and there’d be no more need for paperback gurus. Various of the midlife self-help guides I looked at seemed to be predicated on the novel notion that we are who we are. I don’t want it to come as a shock to you, but apparently 50 is now the new 50, and 60 the new 60, and – yep, you’ve got it – 70 the new 70. Well, kiss my grits, that’s something worth writing about. I wandered along the bookshelves, perusing the shiny spines of the current crop of guides – written, no doubt, with the best of intentions (and one eye on the advance) – and wondered if their authors might think about taking their own advice and quietly embrace their inner avocado in the gentle light of a Malibu sunset rather than doling out any more of this claptrap. Thousands and thousands and thousands of words of advice have been written, but they all, one would be tempted to surmise, amount to pretty much the same shtick. So, as the autumn evenings close in and we creep ever closer to our hearths, allow me (with the help of my paltry, staggeringly unprofessional research) to “unpack” some of the guidance on offer and, in so doing, maybe save you a trip to the library through the soon-to-be-stormy weather. Okay, here goes. Be who you are! Know yourself! Recognise yourself! Stand up and count yourself! Don’t walk away and leave yourself on the luggage carousel! You’re not a piece of battered lost property doomed to revolve forever around the same old track! Break open your rusty clasps, throw off your mothballs and lick yourself all over! Yes, you are You! Great big shiny You! And, while you’re at it, you glorious big lump of You-ness, say Yes to the universe! Yes yes yes yes yes! I am who I am! I’m not who I’m not! And what’s mine is mine, and what’s yours is yours, and together we’ll make ice cream and spread it all over each other’s wrinkly torsos and send snaps of ourselves ice-skating in alligator boots and our all-together into the ether. Because that’s the kind of Mes we are. Undaunted! Unsurpassed! Over-age! Outraged! I love yourself. You love myself. You are my cupcake! I was thinking about developing the idea into a tome of my own. It would give me something to do in the darkening evenings. Any takers?